Classic design silver bead friendship bracelet. 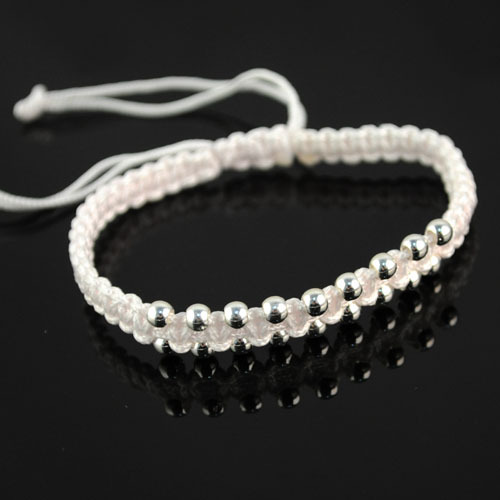 Two rows of silver beads woven onto the light Pink bracelet. Width of 1cm, adjustable to fit most wrist sizes. Super Cute and Super Trendy!